After a slow start a few years ago it seems that hawkers markets have popped up almost everywhere. All these relaxed outdoor venues feature a variety of tasty street food and many have entertainment. Some develop beyond this into a friendly community space that welcomes families, locals and guests. The Maylands Hawker Market is a perfect example of this. Held on Saturday evenings from the end of October until 26 March, it's a great place to enjoy an inexpensive night out. The Maylands Hawker Market is run by Local Arts & Community Events (L.A.C.E.) a not-for-profit group, along with many helpers, all of whom work on a voluntary basis. 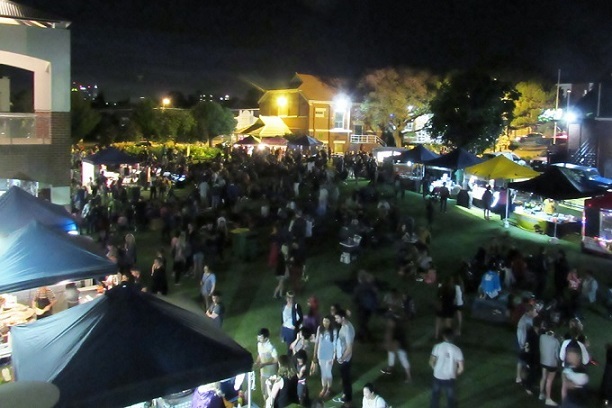 The market takes place on the lawns in front of The Rise community centre, making it a cool oasis on hot summer nights. It's also the perfect setting for a picnic meal with blankets, chairs and the family pet all welcome. Though not a large market it's a lively one with crowds of people browsing the 15 -20 vendors. The vendor list is published every week on the Market's Facebook page. 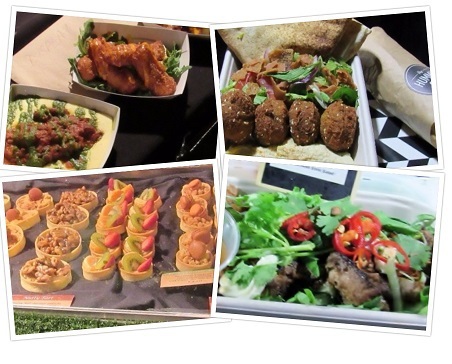 It includes some regular favourites like Moroccan Shak Shuka, Satay on Charcoal, Grilled to the Mac North American food and many others. A refreshing rockmelon juice from Banana Leaf sounds tempting, and for the foodie daredevil, how about some deep-fried cheesecake from Madhatters on Milston? Local musicians play every week and the area in the centre of the lawn often turns into an informal dance floor. The free children's activities such as face painting and magic bubbles are also popular and add to the fun. The Hawker Market is a short walk from the Maylands railway station. There is also ample parking but please follow the directions of the L.A.C.E. volunteers as some of the local shops are still open and their car parks are not available.